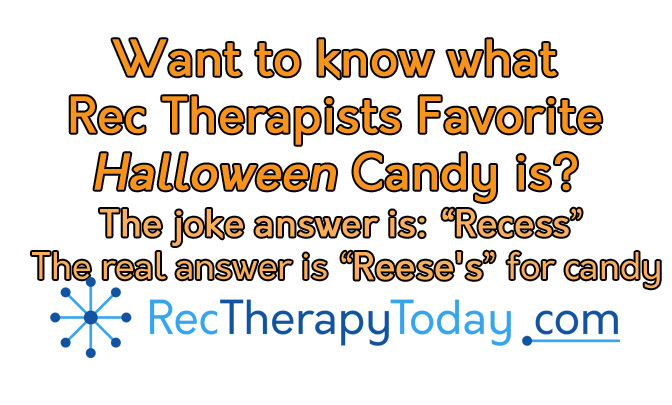 What is a Recreational Therapists favorite Halloween candy? 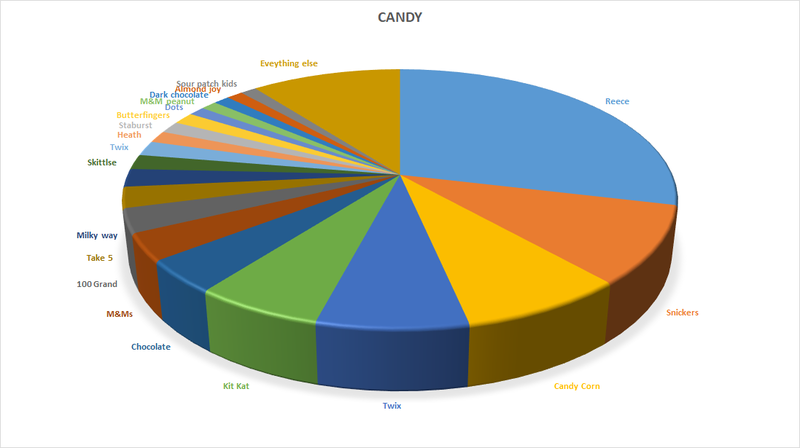 Rec Therapy Today did a little informal research to determine what is a recreational therapists favorite Halloween candy?. Danny Pettry – Two people had written, “recess” for this answer. I liked that because it has to do with play. I changed all “Recess” answers to Reese’s. Please note this answer also included included several different answers, including: peanut-butter cups, Reese pieces, and Reese’s pumpkins. Danny Pettry’s reminder — always remember and consider patients who have allergies or diabetes or other eating disorders or needs at Halloween time. We got a lot of answers. # 1 – Reese’s (33%) or 1 out of 3 RTs said that this is their favorite! Danny Pettry: The Reese pumpkins are my personal favorites! – so I’m in this group too. # 2 – Snickers 12% said Snickers was their favorite. 258 people completed a survey. 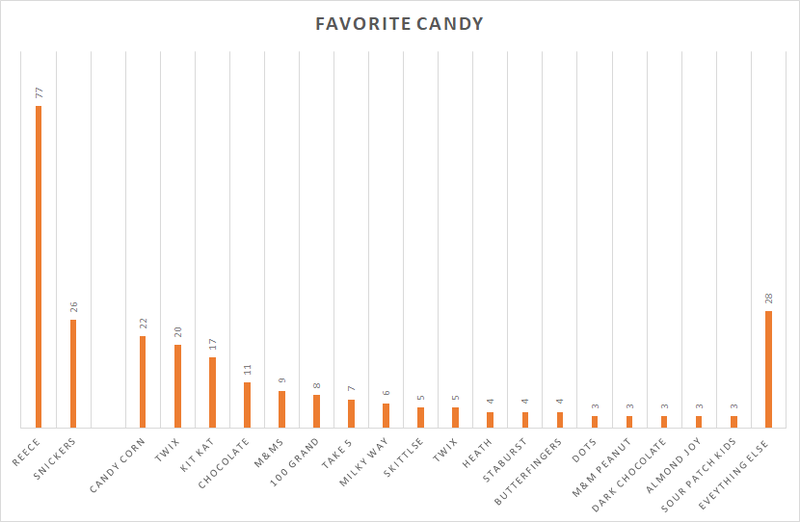 226 out of the 258 people who completed the survey shared their favorite candy. Some people said “none,” or left the question blank. What is everything else in the bottom of the bag? What to get Rec Therapy Today sent to your email monthly?